Daily Turismo: 5k Flash: Bent Valve Special 1967 Porsche 912; Goldfish-Cracker Orange V8 Swap Candidate! 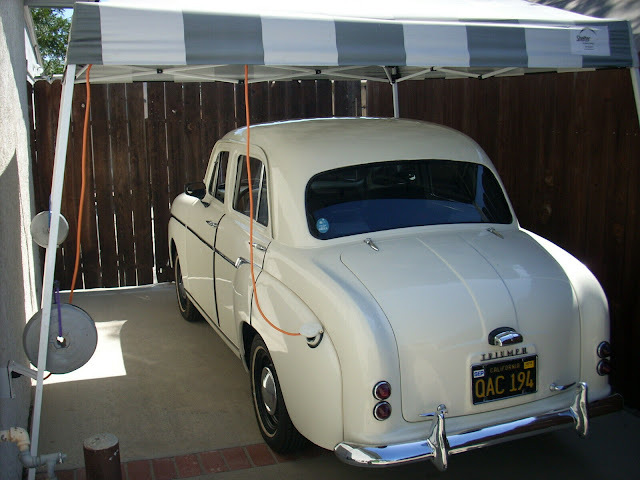 5k Flash: Bent Valve Special 1967 Porsche 912; Goldfish-Cracker Orange V8 Swap Candidate! 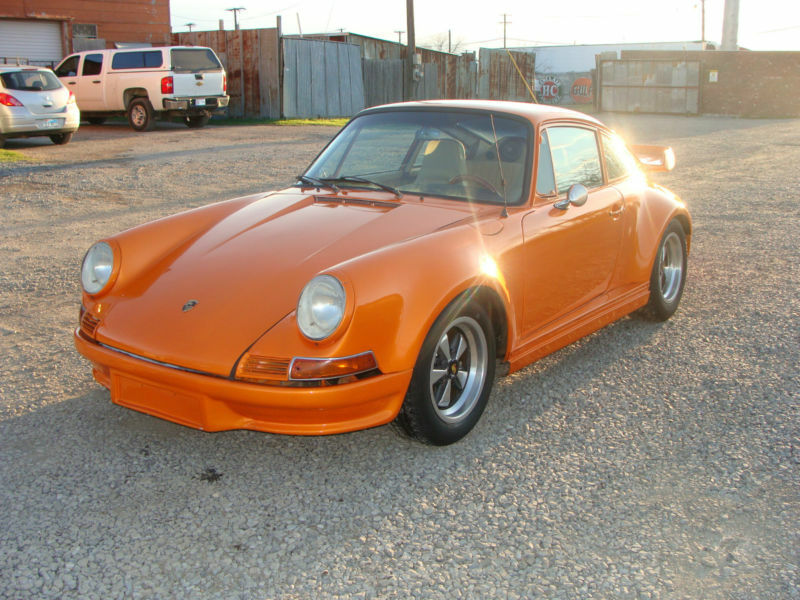 If you are in the market for a cheap 911 look-alike to cruise around the block giving your neighbors Porsche envy...this ain't it...because it doesn't run/drive. 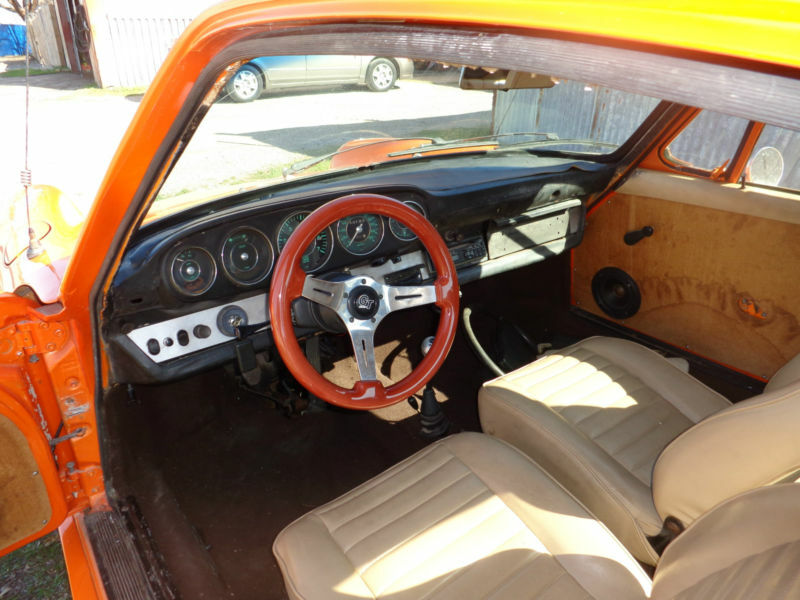 What we've got featured today is a 1967 Porsche 912 with a busted engine, turbo flares, and a CalTrans orange paint job. Find it on ebay curently bidding for $5400 with 4 days to go and buy-it-now of $6,250. 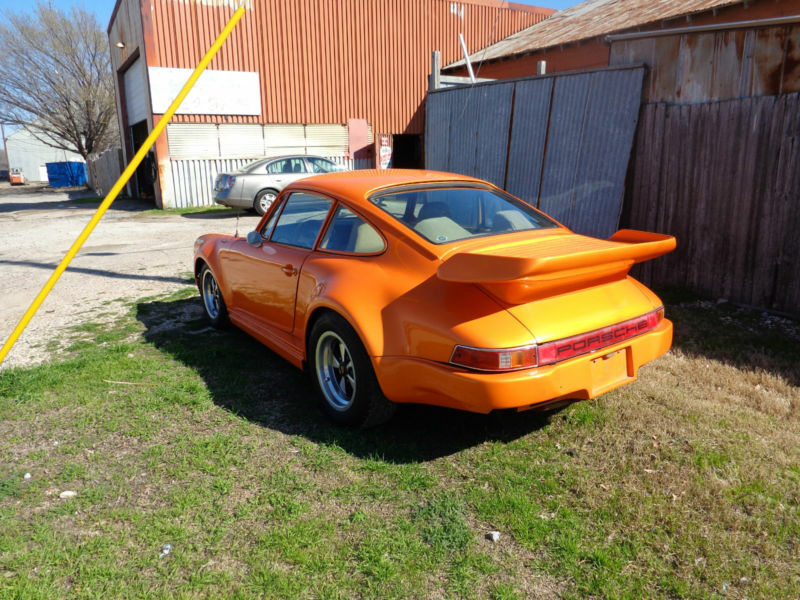 Before you dismiss this one as a pile of junk - keep in mind that this is about the cheapest non-rusted-to-hell 911/912 body you will find for sale. The paint is roughly the color of the indecipherable marks that hard-hatted dudes paint on ground to indicate the presence of lack of power lines, sewer pipes or the underground railroad....but it looks to be a good 10 footer paint job. 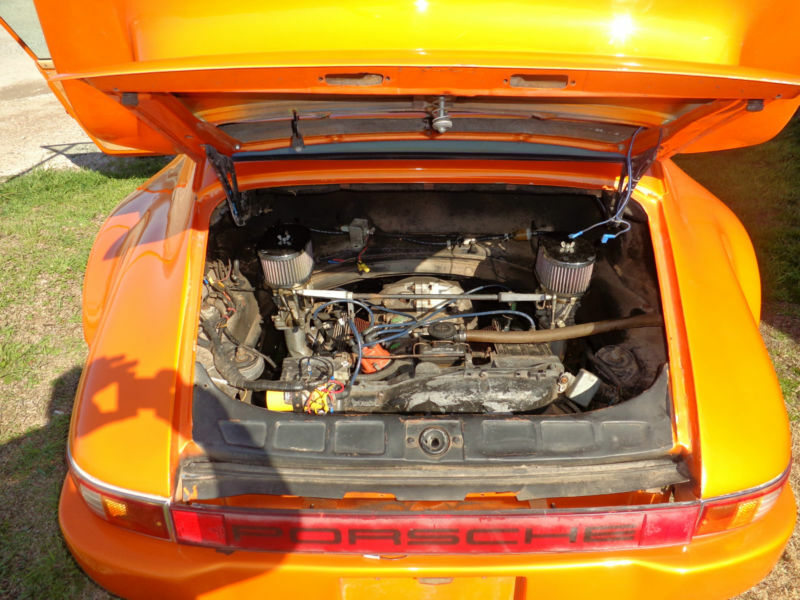 The non-original 2.0 liter aircooled Porsche Volkswagen engine has been converted from fuel injection to carbs and now has some bent valves due to some catastrophic event...but we couldn't think of a better car for a Corvette engine swap! The seats and dash don't look too horrible, but the door cards seem to be made from recycled cardboard and are falling apart. Its good to see the construction zone paint color was carried into the doorjams making it more difficult for a potential restorer to get this thing back to stock before exporting to Europe for profit. To be honest, the orange color is starting to grow on us - perhaps even more so when you consider how much this thing resembles a goldfish cracker. 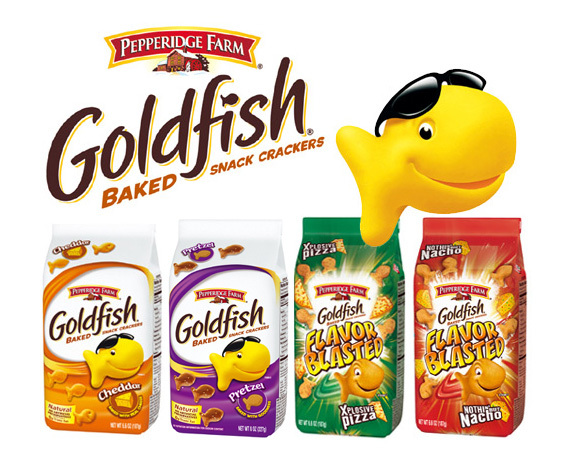 Goldfish cracker image and associated trademarks are property of Pepperidge Farm and parent company Nabisco/Walmart/ExxonMobil/DOJ...disclaimer...et cetera, et cetera.